Fish & Co is a classic place that everyone remembers for their fish & chips, and it’s a place that I return to time and time again. Nothing much has actually changed since they opened so long ago. In fact for me, it’s one of the rare franchise places that have maintained their standards after so many years. The fish & chips I ate when they first opened is still the same fish & chips I had this year. They’ve since added a lot of extra dishes such as the Swordfish Collar or the New York Fish & Chips, but for me I think the best is still the Original Fish & Chips, with the lovely lemon butter sauce. 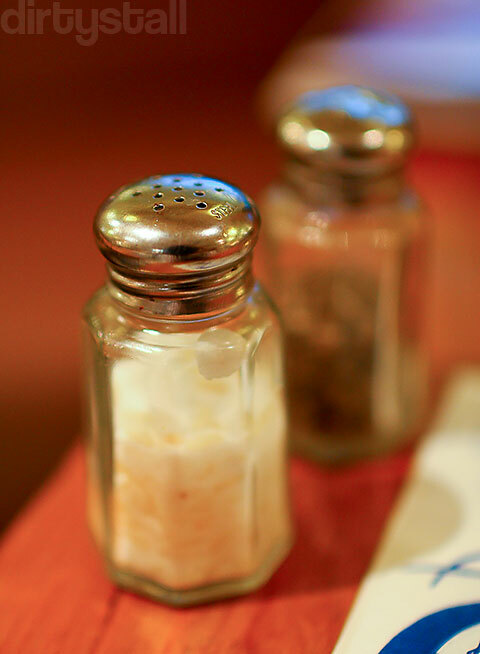 One thing that still peeves me off is that I can never get the salt and pepper out of of the shakers – the holes are just too small! This hasn’t changed since the beginning!! 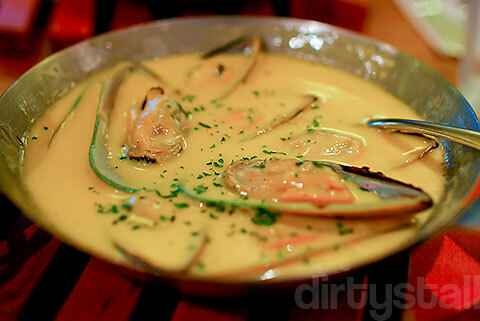 This is an appetizer that I’ve grown to like recently – the mussels in creamy garlic and lemon butter sauce. I’ve always liked mussels and the ones from Fish & Co are generally quite good to eat. I don’t think I have to explain how awesome and rich the creamy sauce is but what’s nice is that now they serve some bread to go along with this dish so that you can mop up the remaining sauce after you eat the mussels! Second favourite to the Original Fish & Chips is the Seafood Platter for One/Two. 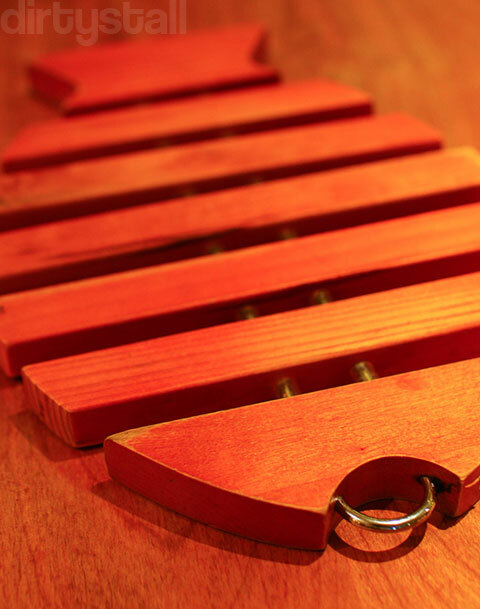 Both are equally excellent, with the platter for two giving more items, like scallops. 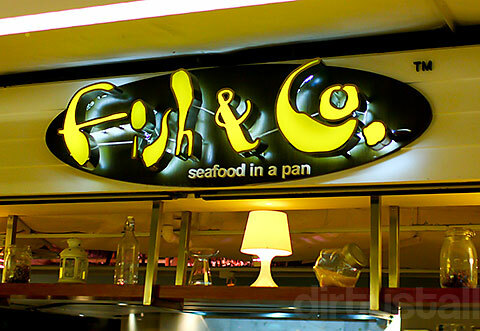 Different Fish & Co outlets also give different types of extra ingredients. The sautéed calamari rings are really tender and flavourful as well, so sometimes I wonder if there’s anything artificial involved in their tenderness. Grilled prawns are always delicious, some places give the large prawns while some places give many small prawns. This is always a great dish to share, especially if I’ve eaten the Fish & Chips too many times already. 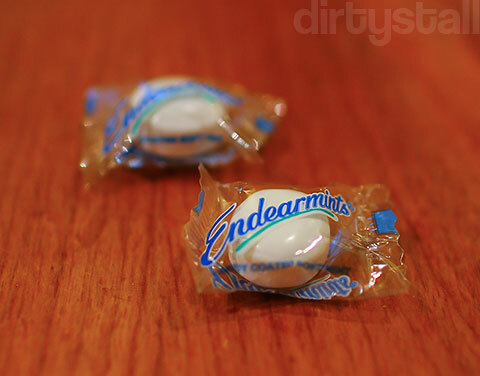 And how can we forget our favourite sweet – the minty Endearmints! People love this sweet so much that they’re even willing to order and buy them direct from Fish & Co by the bagloads! You know who you are!! 6 Responses to "Fish & Co"
haha i can’t finish their fish and chips by myself though they’re nice! Nooo how can? The fish is so yummy! Can finish very fast one! But the fries maybe I won’t finish it all sometimes. Can be a bit tasteless at times. 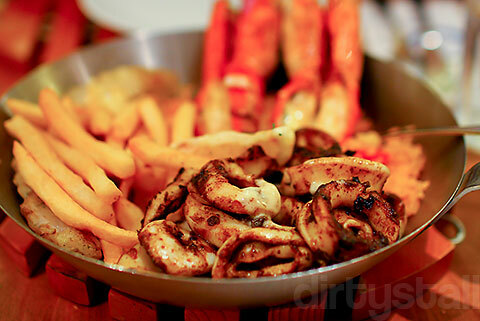 somehow, i seem to fancy manhattan fish market more now … maybe its because they hav an outlet in my bishan area …. 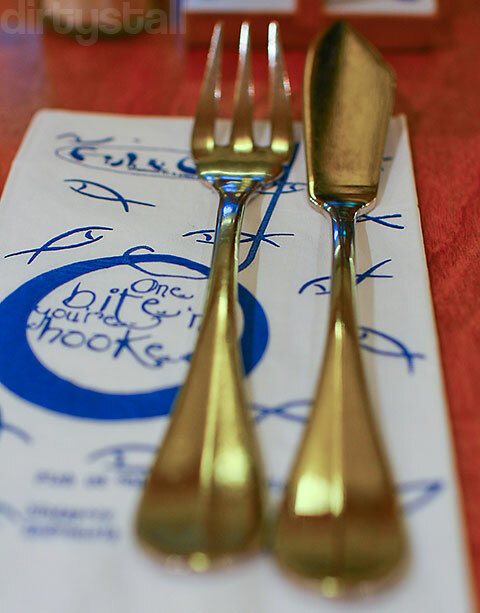 I’ve tried them twice, and both times I wasn’t impressed with their seafood platter. Way too much fried stuff.